Are you searching for a professional local removal company that will provide a good value for money service? You do not have look any further. Just give as a quick call and we will be happy to provide you with a tailor-made quote for a house or office move. Any additional services can be provided as options so you can have a look at the prices and decide later what services are within your budget. We will move anything you want from 1 bed, wardrobe and a kitchen table to a full 3 bedroom house. We look forward to hearing from you today! Do you live in Wakefield or maybe your are just moving in to the town? As long as you are based within 50 miles radius from the city centre we will be happy to visit you at home, carry out the survey and provide you with a free quote. Yes, that is correct! We do not charge our potential customers for providing them with the quote. The only thing we want from you is to give us a chance to bid for your house or office removal. Also all quotes provided by our removal company are with no obligation. Contact us today! Our removal company in Wakefield offers cheap removals, transport of furniture and other goods across the country - London, Manchester, Birmingham, Glasgow and Europe - France, Spain, Germany and more. We have operated on the transport market for many years. Our main specializations are cheap office moves and home removals in, to and from Wakefield. We serve small family firms, large offices, government organisations and private clients who appreciate the professionalism, safety, and also low local prices. Our well-trained and experienced movers will help you with any, even the most difficult house move or office relocation in Wakefield. We are not afraid of difficult tasks: moving furniture up or down the stairs or narrow staircases are not a problem for us. Equipped with modern moving equipment, we can meet the toughest challenges! 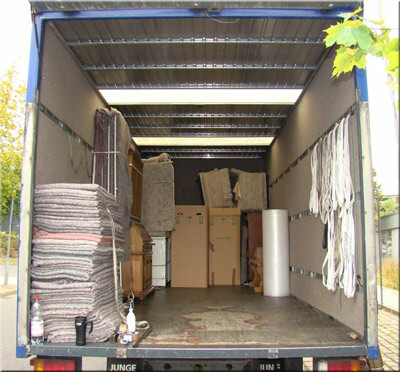 As you know a removal may be very complex and moving without a proper planning and preparation has a number of drawbacks. That’s why every commercial relocation and a long distance house removal are carefully planned by one of our move managers. We always care about our customers. It is our policy that all goods must be moved by our staff, loaded onto a truck, transported and at the end of all activities moved to the new locations in the reverse order. We always care about our client's furniture! On request or if needed we provide all packing and wrapping materials, secure everything with stretch films and straps, disassemble to move without scratching doors, walls and furniture. In addition, our employees have special belts for carrying heavier and larger items, so that we limit to the maximum the contact of your goods with any other surface. To give you a piece of mind we always provide an insurance option. but many of them do not have the experience that we've developed over the last than 10 years moving everything that can be moved by a human being. From 1999 to 2013 we conducted more than 3900 companies, offices and individuals. We have moved over 300 pianos and have provided our customers with about 33 000 moving boxes and travelled over 2 million kilometres across the UK and Europe. In addition, we employ only experienced workers so that we are sure that our customers will be satisfied as usual. We also provide shipping to France from Leeds and other areas. How do we approach your house, office or warehouse removals in Wakefield? We are committed to fully satisfy our customer because 70% our work comes from recommendations or repeat customers. This is one f the main reason why we strive to continuously improve our removal services. We offer various types and different sizes of cars starting with furniture-vans for small man and van hire in Wakefield ending with heavy duty removal lorries suitable for larger long distance domestic and international removals. However a good professional moving lorry will not prevent your items from damages. All the little things need to be properly packed, furniture protected and properly loaded onto the vehicle. All this is done by our movers in Wakefield. We can provide boxes in which you can pack heavier items such as books, documents, photos and other equipment. Also deliver bags and wardrobe boxes for clothes and, of course, adhesive tapes, stretch films for protecting furniture and other office equipment or domestic items. Our removal vans in Wakefield are equipped with a set of professional power tools for unscrewing and screwing furniture. Sometimes your double bed or a wardrobe must be dismantled; otherwise it will not fit through the narrow door, stair case or corridor. But the most important and basic equipment of each mover are special belts to safely move your furniture. We also have professional and expensive equipment which is used for work at height and on stairs. It withstands enormous loads of up to a few tons. With so durable equipment, we are able to carry heavy safes, pianos and move them in to the house or office through the windows. 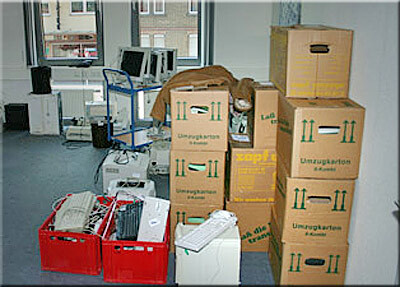 We provide comprehensive server, primary school, college and university relocations. Our moving services Wakefield range over removals to France, Holland, Belgium and other countries. We provide shipping from Wakefield to Australia, USA, and New Zealand and can move anything to South Africa, Canada and UAE. Our services also include any additional related activities such as: loading and unloading, transportation, protection of goods, shifting, lifting etc. We approach each client individually. Call us, and together we will determine the right price.